Round the Island Race is a fantastic event that sees world-renowned sailors competing against families, Sailing schools and first-time racers. 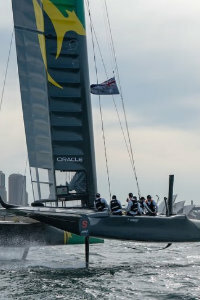 Around 1400 yachts take part, making it one of the largest races in the world! 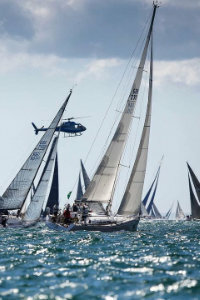 Set in the beautiful Western Solent, right near The Needles, this three-day regatta is the ultimate mix of competitive inshore racing and champagne! Sponsored by Taittinger Champagne and hosted by the Royal Solent Yacht Club from Yarmouth, this is a weekend you won't want to miss. 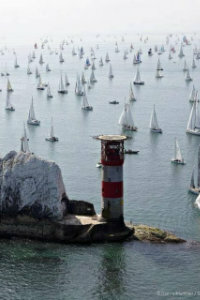 The Rolex Fastnet Race is one of the most exciting and challenging offshore races in the worlds. This year, the 340 entry limit was full in us 4 minutes and 37 seconds! The race starts off Cowes a the Royal Yacht Squadron line, then the fleet head out of the Solent past The Needles and along the South Coast of England. The LBCC is the largest industry regatte in Europe, bringing together hundreds of people from the property and construction industry to sail, socialise and fund-raise. Over the past 30 years, the Little Britain Challenge Cup has raised over £1.25 million! During these events, marinas will get very busy, so we advise booking ahead of time (where possible) to avoid disappointment. Want to do more than spectating? Why not try racing yourself!